Bottle Caps,Bottle Caps Manufacturer,Plastic Caps,Plastic Containers and Plastic Closures used for Packaging. 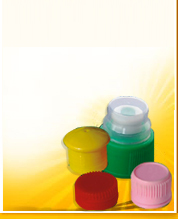 plastic caps manufacturers in india, plastic caps Suppliers, plastic caps Exporters India, India plastic caps Manufacturer, plastic caps Manufacturer india, Plastic Containers, Plastic Containers India, Plastic Closures, packaging caps. We are leading Manufacturers, Suppliers and Exporters of Plastic Containers, Plastic Closures for packaging like plastic caps Manufacturering, plastic caps for India, plastic caps for Export India, plastic caps Manufacturer india, Plastic Containers, Plastic Containers India, Plastic Closures, packaging caps, Plastic Containers in India, packaging caps in India. NILKANTH POLYPLAST has been in plastic packaging industry for over 10 years and has emerged as leader in creating total packaging solutions for healthcare, Chemical, Food and Beverage, Consumer Goods, Pharmaceutical, FMCG and Lubricant Industry. Bottle Caps, Plastic Caps, Plastic Containers and Plastic Closures used for Packaging. We are Regular Supplier of Plastic Caps, Plastic Containers in Ahmedabad, Baroda, Surat, Rajkot, Delhi, Mumbai, Chennai, Bangalore, Hyderabad, India, Gujarat. Our packaging solution with entry into contact manufacturing to leverage on One Stop Shop concept of manufacturing under one roof. 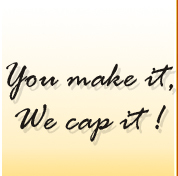 We fullfill the needs of clients for cost effective quality conscious products on immedate basis.